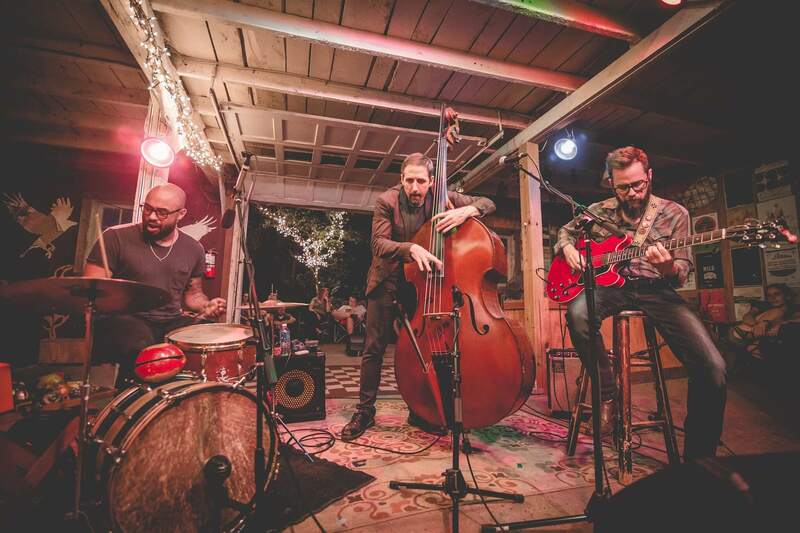 Joe Policastro Trio - Fairfield, Iowa - Tune into our Vibe! Thursday, March 21 • Joe Policastro Trio. Chicago-based alternative jazz trio. Their latest album, Nothing Here Belongs, showcases the trio’s captivating body of original music with bold arrangements of songs by Bruce Springsteen, Talking Heads, and Santo & Johnny. 8 p.m., Café Paradiso, 101 N. Main, Fairfield. CafeParadiso.net. “Nothing Here Belongs” marks the fourth release by the band. The new release follows in the wake of “West Side Story Suite” (2013), “POPS!” (2016), and “Screen Sounds” (2017), all of which highlighted the trio’s ability to remake unlikely songs in its own raw, highly idiosyncratic fashion. “Nothing Here Belongs,” by contrast, for the first time showcases the trio’s captivating body of original music, while also including characteristically bold arrangements of songs by Bruce Springsteen, Talking Heads, and Santo & Johnny.